Every maker has a story. Be a part of Haven's Wardenclyffe's story by placing an order, leaving a review, and seeing your review appear here. 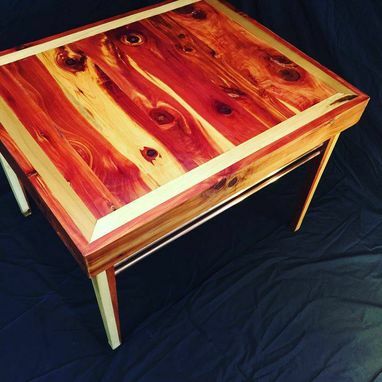 This elegant coffee table is brought into existence as orders are placed. Using a type of "torsion box" construction, the tables are topped with 3/4" thick cedar and poplar. Some variation is possible in the tabletop design itself, please contact me for details. 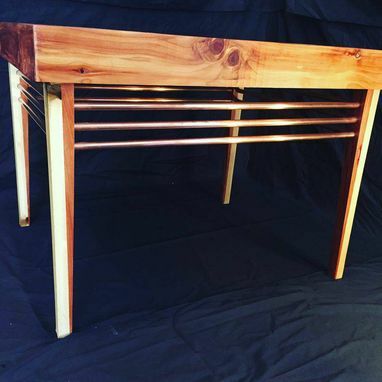 The legs are made of fused cedar and poplar woods, spaced apart by copper tubing. 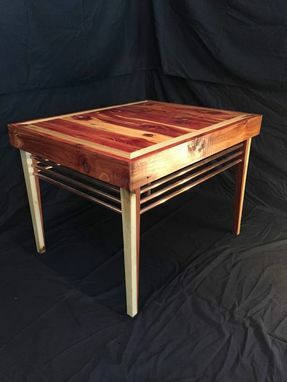 Each table is 27" wide, 33.5" in length, 24.5" tall, and weighs in around 40lbs. Shipping weight is approximate and will vary slightly piece to piece.